Welcome to fall and the start of the holiday season. Summer came and went way too fast! 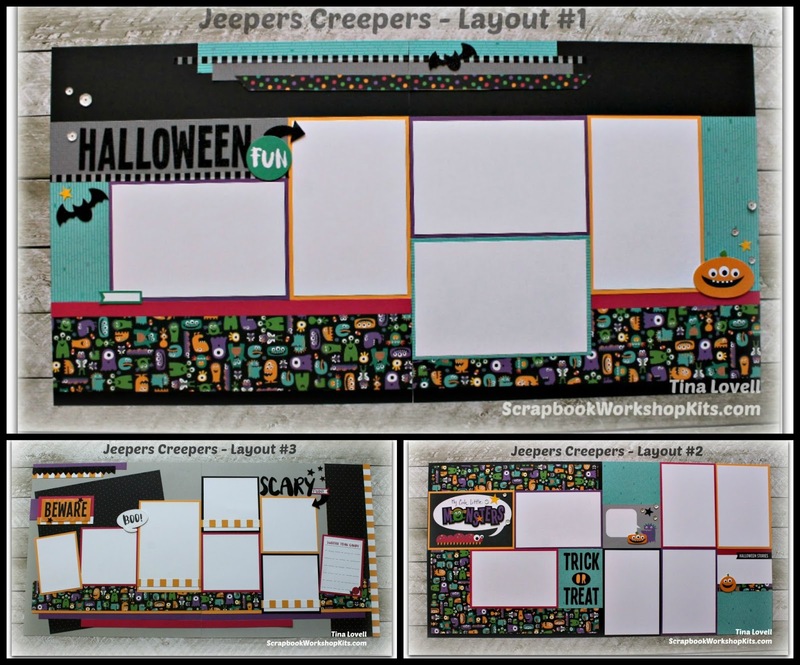 So to kick things off and help you get a head start on some of your fall scrapbooking, I have a fun and cheerful Halloween themed scrapbook kit to share with you today. Today's kit is featuring the new "Jeepers Creepers" paper pack and complements. This was just released TODAY, so it's fresh off the press. AND.... it features 3 of our brand new colors: Raspberry, Tangerine and Lagoon!